The weekend’s skies over Leeds looked like this. Friday: bright and clear, the sun shining warmly as if spring would soon arrive. Saturday: dark and gloomy, clouds spat frosty rain onto the shivering citizens below. Sunday: glad brightness returned, nothing disturbing the pale blue that lifted the heart. So what happened on Saturday? Leeds United tried to play football, but that wasn’t the only thing that depressed upon us from the cosmos. I’m increasingly convinced that, between being sacked from the biggest job he ever had and scuttling back under the skirting boards to Devon, Neil Warnock took the time to piss in all four corners of the pitch at Elland Road, reinforcing the curse Don Revie tried to lift in the 1970s. What’s happening at Leeds at the moment isn’t normal, and while that melting candle burned with its usual malignance in the away dugout, it was hard not to pity Thomas Christiansen in the other, trying to deal with circumstances no coaching course or youthful training session at Barcelona can have prepared him for. I doubt the UEFA Licence offers any advice on dealing with the unique combination of factors that is Neil Warnock bringing Cardiff City to Elland Road, with Sol Bamba on the pitch and Kevin Blackwell and Ronnie Jepson in the dugout, because it doesn’t seem like a battle about football, but a battle with the fates. Warnock will ultimately lose. He’s been a dinosaur for decades already, promoting a style of football that nobody from the new generation of coaches and players regards seriously. He’s an anachronism, that candle is melting down to a foul-smelling stub, and one day, he’ll be gone from the game. Until then, however, he’s going to win and win and win, and that’s just the way it is. It is pity that I feel for Christiansen at the moment, rather than anger, because what we’re seeing doesn’t seem like rank incompetence or pure mismanagement. Christiansen is making logical and understandable decisions, and for each, he is and we are being punished far in excess of the offence. Take the decision not to sign a central defender on transfer deadline day. Christiansen said quite reasonably that, taking a longer term view, signing a new defender would have left Leeds with one more for the position than they need when everyone is available, and given the lack of time would have meant paying too much money for a player that, the day before, Leeds United hadn’t wanted. 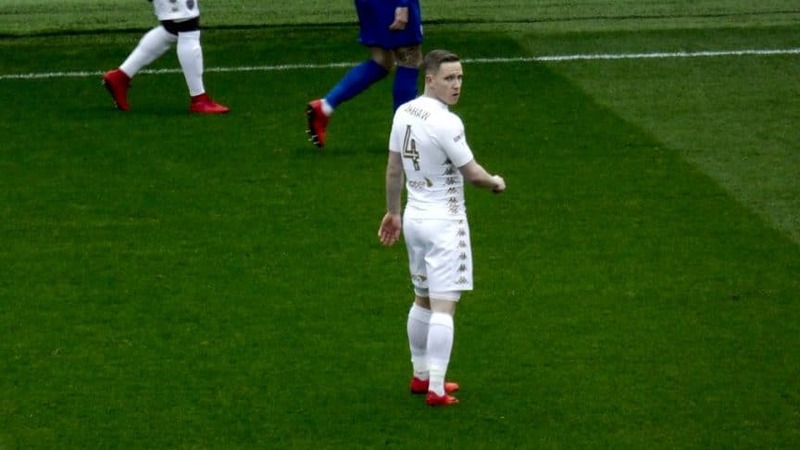 Then, by half-time on Saturday, Pontus Jansson was being taken from the field on a stretcher, and Gaetano Berardi was being sent from the field by an unforgiving referee, and now Leeds must face the games ahead with Matthew Pennington as their only first team centre-back. That hardly seems fair. I say the referee was unforgiving. Berardi’s first booking was for a fifty-fifty challenge with Gary Madine, made right in front of the dugouts, bringing all the fury of Warnock, Blackwell and Jepson to Mr Graham Scott’s ears, and distracting from an off the ball kick by Bamba on Pontus Jansson inside the penalty area. 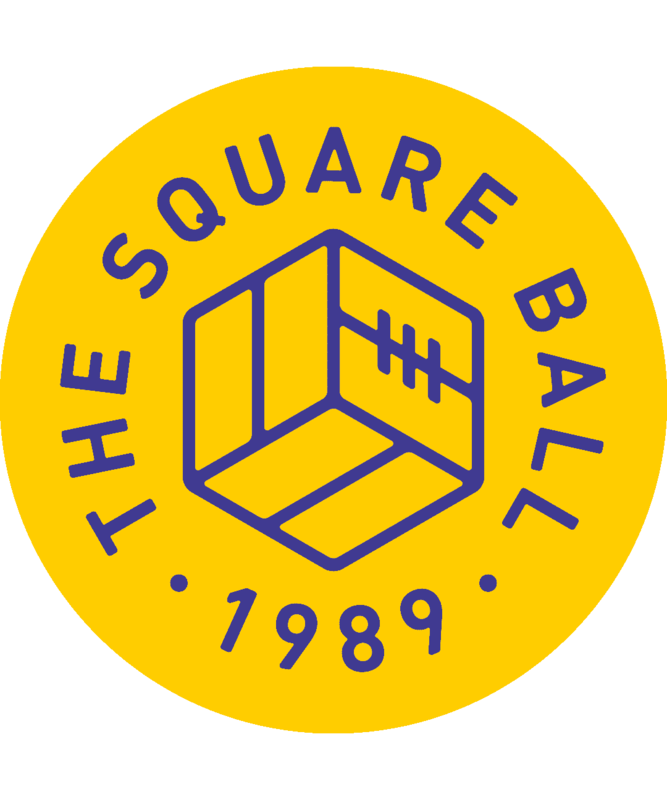 To be charitable to a former player, it was probably unintentional, but that would make it even worse luck; in any case, it went unnoticed, and sent Jansson out for several weeks injured. Berardi’s second booking was a challenge later and worse than the first, but a forgiving referee might have told him, with a few moments to go before half-time, to calm down, put him on his last warning. That didn’t seem to be in the referee’s nature, apart from when after a string of bad fouls Marko Grujic was warned about his conduct, and not booked until a ludicrous challenge, leaping into Stuart Dallas from behind and kicking him to the floor. Leeds may well have a discipline problem, and three red cards in four first halves suggests so, but none of them has been for a foul so conclusively dangerous or aggressive that you could argue the players are out of control. Grujic’s assault on Dallas was worse than anything a Leeds player has seen red for recently. But he got away with it. And Leeds got worse. It’s a cycle of disintegration. Our first choice players are sidelined, so the organisation on the pitch erodes, leading to the failed marking that gave Cardiff their opening goal; Leeds players gathered like confused geese at the front of the six yard box, and the ball was crossed to the back, where Callum Paterson rose to head in above Jansson. A goal down, now Leeds had to work harder and tackle harder to get back into the game, leading to more mistakes and more risk of cards, like those given to Berardi. Without Jansson, the defence became even more disjointed, and Berardi was caught out by a high bouncing ball, that Patterson mishit across goal where Junior Hoilett finished. After Berardi was sent off, it was inevitable that a goal would be scored from the free kick, as Pennington and Wiedwald were left to try and organise — organise who? It didn’t feel like a game of football, it felt like an avalanche of circumstance and conspiracy, perpetrated by the cosmos, if not the Football League. Added to the defensive troubles were Pierre-Michel Lasogga’s two missed chances, the first he created himself, shooting hard and low from long distance, the ball was tipped onto the post by the goalkeeper; the second was created by Pablo Hernandez, who chipped across goal to the back post, where with an empty net to aim for Lasogga headed against the bar; Ezgjan Alioski couldn’t volley in the rebound. Scoring either might have given Leeds the one thing they didn’t have at half-time: hope. Bizarrely, as against Millwall, being down to ten players and facing a huge deficit score brought much better from Leeds in the second half. One of the unexplainable factors crowding our team is how limp and docile they look while teams like Millwall or Cardiff roll over them, but then how much effort and determination the players will bring to fighting back in adversity. Leeds began battering Cardiff, earning an own goal through Bamba, and offering a glimpse of the impossible. They didn’t come as close as against Millwall, but the same qualities were there. Just not in the first half, or against Hull City, or in the four other winless games this year. With performances that veer so wildly from half to half, with a defence that has become bizarrely empty of players, given that our last two signings have become our two best players and a third is waiting to be used, and that we knew we would miss Samu Saiz, just not how much, it feels impossible to calmly assess what is happening and who is to blame, because too much is happening, much of it too random to blame on anything other than curses and the cosmos. Of course it’s Thomas Christiansen’s job to minimise the impact of randomness on a game, to bring events under his control, but it’s hard at the moment to decide how much of this spiralling situation is his doing, and how anyone else would have coped. What Christiansen doesn’t need to do is make it worse. With Jansson gone, Lasogga was the only player with the height and physique to trouble Warnock’s muscular team. Watching Alioski flailing and struggling on the left wing ought to have been a caution against bringing Hadi Sacko into the game, but to resounding boos, on Sacko came, in place of Lasogga, and United’s attacking impetus went. Perhaps Christiansen had a point, that Sacko’s speed could cause problems behind Cardiff’s defence, but the bigger problem was the blow to our own momentum, and sticking with a team that was giving a decent account could have been more valuable than a change in pursuit of a game that was lost. As for Jay-Roy Grot, I wouldn’t like Christiansen to be giving too much heed to the emotions of the crowd when he’s making decisions, but bringing on the one player the fans have chosen as the totem of all their displeasure this winter felt like asking for trouble. Perhaps Warnock, transmitting his powerful hex up the touchline, psychically caused those substitutions. Perhaps it was his devilry that sent the positive scout report on Grot to Victor Orta’s fax machine. Certainly, it was Warnock flapping his black wings in the sky above Elland Road and crowing smugly at yet another vengeful blow against his former employers. Thomas Christiansen is often criticised for not learning how to deal with teams like Cardiff and Millwall, but I’d hate for that, or for this result, to be the reason for his sacking; something that, after five defeats and two draws, he accepts is a valid topic. There’s only one Millwall, though, and only one Neil Warnock, and it is possible to get out of the Championship without beating them; you just have to beat all the other teams. The games against Sheffield United and Bristol City ought to be a more accurate measure of Christiansen’s work, but even then, what work can he do given the injuries and suspensions plaguing him, and how can we judge his true capabilities under such cursed circumstances? That takes us to the game at Derby when, assuming no further evils befall us in the meantime, Berardi and Liam Cooper will return to bring some normality to defence, Kalvin Phillips and Eunan O’Kane will be available to relieve the tired looking Ronaldo Vieira, alongside the new excellence of Adam Forshaw; Tyler Roberts will have made his debut, and Samu Saiz will be back.